Here is my first kitchen reno I'm in the process of getting quotes for. I've had 0 experience and 0 professional advice. I'd like to hear all comments/suggestions/criticism. Here is my first kitchen reno I'm in the process of getting quotes for...I'd like to hear all comments/suggestions/criticism. I'd like to comment, but before I do I'd like to know if you did the plans or if you used a designer? I suggest you see a kitchen designer. The shape looks really awkward to start with. thanks for taking the time to reply TheShed, I appreciate your input. Could you maybe elaborate a bit? That is a G shaped kitchen, arguably, one of the most well known / standard layouts there is. Do you mean because I used perspective view and all the angles look off? Well, you have three spots where you would require corner cupboards in a G shape kitchen. Personally I dislike those type of cupboards as they are awkward to access. You have drawers under a sink and a cooktop. I’ve never seen this in a kitchen personally before. Have you considered that under the sink you would need to run piping for the taps, sink waste as well as the dishwasher in/outlets? Most people put a cupboard here for this reason. thanks TheShed, I see your point now. 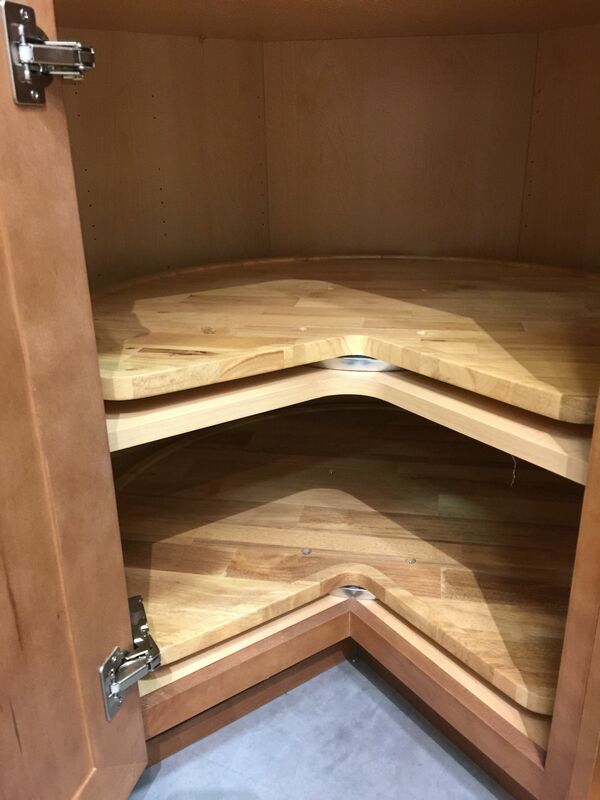 the cookstove drawers will be fitted below the cooktop with enough clearance, I already went through the instructions and factored in the appropriate distance. I thought it would be nice to have the pots storage there, right under the cooktop. I think it would be cheaper to do what you say with the cupboards under the sink, I am fairly tall and just can't stand having to get down low and deep into cupboards on the floor, I find drawers so much nicer and easier to use. drawers under your sink are a no no. The plumbing will take out most of the space leaving you with potentially hundreds of dollars worth of drawer hardware for next to no use. Hi Rob, I agree with TheShed. Seek expert advice, whether it's free or paid. Drawing your plan is already a good start. You have an idea of what you want, therefore it makes the job of the kitchen specialist easier when they help you tweak or remodel your design. I recommend you spend time visiting a couple of kitchen showrooms to get ideas, talk to their staff and so on. Kitchens are the biggest investments, second to bathrooms, so you want to arm yourself with as much info.